Formatting is an important element in any academic document. Since there are different formatting styles for different types of documents, it can be easily overlooked. This is especially true with senior dissertations as many universities vary in their formatting requirements. The dissertation committee can reject an improperly formatted dissertation. 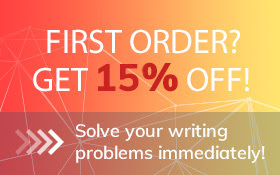 At Top-Dissertations.com, we provide unsurpassed formatting services that can ensure that all papers are formatted perfectly before they are submitted to their owners. We double check the requirements that are set forth by the educational institution that has assigned the dissertation or other academic writing, and we make certain that all instructions are followed. Our competent editors can guarantee that all referenced sources will be properly cited in the required style. Completely reliable sources for all citations that are mentioned in the Works Cited section of any dissertation. Experts who can provide any style of dissertation formatting including Harvard, Chicago, APA, MLA, or any of the other standardized formatting styles. All dissertation formatting is required to be executed according to university guidelines. Students are graded heavily on following these guidelines. In order to format the dissertation according to the university's guidelines, the customer is required to furnish our writers and editors with access to said instructions. Our dissertation formatting services promise to synchronize any customer's dissertation professionally and impress the dissertation committees or professors who examine the materials. Why do so many students choose dissertation formatting services of Top-Dissertations.com? All formatting done by experts with years of experience. Continuous updates and keeping abreast of the latest formatting styles. Fastest turnaround time, regardless of the size and level of difficulty of a customer's stylized dissertation format. Noticeable improvement in all areas of dissertation organization. Dissertation formatting services are also available in rush-order status. Our urgent status for formatting services does not compromise the quality of any paper. We ensure that our customers' dissertations are perfectly formatted regardless of the time frame provided. We make sure that all dissertations and other academic papers that are submitted to us for formatting are perfected before they are returned to the customers who order our services. We employ well-educated, knowledgeable, professional editors who know exactly what they are doing. They remain ever-mindful of the importance of a correctly formatted dissertation. No student will ever have his/her dissertation rejected due to formatting issues so long as the Top-Dissertations.com formatting services are used. Our prices are reasonable. Our deliveries are speedy and our customers are always happy with the excellent job that we do on each and every dissertation.